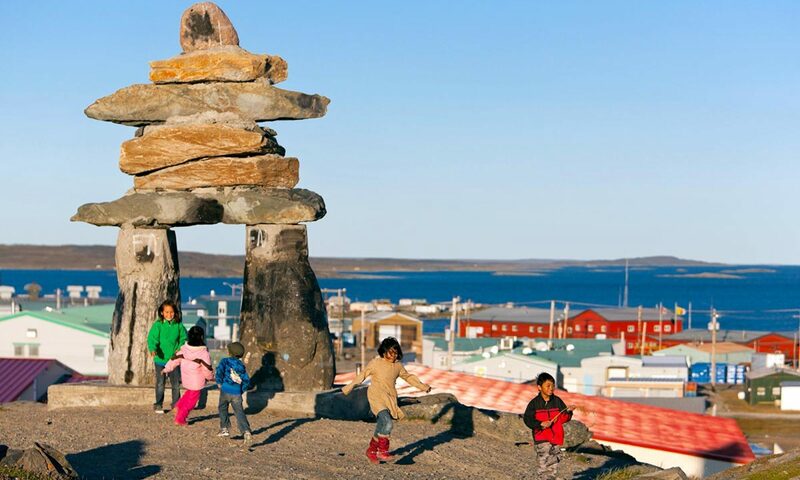 The flag of the Hamlet of Rankin Inlet bears the image of the old headframe of the nickel mine. Not much remains of the mine today, but some equipment, including the ball mills; occupy a hill near the community power plant. Part of the old site is now being used for recreation – home to the Rankin Inlet Co-Ed Softball League. A large grey building on the southeast side of Johnston’s Cove is the “Con Shed”. The nickel ore concentrate from the original mine was pumped into containers in the Con Shed. This building is located on the southeast side of Johnston’s Cove. From here, the containers were put into ships and carried to refineries in the south. Today the building is a government storage facility. In Rankin, an intense sense of local pride in mining remains, passed down from the original miners of Nunavut.